A significant feature of the historiography of the Hamidian era in general is that it is highly politicised, with the scholars divided depending on whether they support Islamic policies or oppose them. Although the pan-Islamist legitimation policies of the era could be interpreted as a consequence of modernisation, in line with Selim Deringil,7 the first group of historians have interpreted pan-Islamism with reference to an Islamic Golden Age. Opponents of Islamism, on the other hand, regard the period as characterised by patrimonial authority, with reference to Max Weber, as well as by traditional repression, the result of which was a delay in the modernisation process of the Ottoman Empire. Both camps are extremely politicised, to the extent that methodological concerns are ignored, with both preferring to explain the period by analysing the personality of Sultan Abdulhamid II. Each describes Abdulhamid II either as the protector of the Muslims, the “Great Khan”, who was sensitive to security issues because of the internal dynamics of the Empire, or as an Islamist paranoid despot. Following Stanford Shaw’s analysis of the Hamidian era as part of the Ottoman modernisation process, a series of studies were published on the topic within the framework of the modernisation school. Another recent development to further widen and diversify the main topics of the historiography of the Hamidian era are studies set within a global approach, with methodological concerns related primarily to state-society relations. Employing a range of methodological approaches, new questions on labour, ethnic conflict, state violence (especially Hamidian massacres—Armenian massacres— between 1894-1896), port cities, philanthropic activities, women’s movement, policing techniques, etc. have been discussed. This study also endeavours to contribute to this body of work. In contrast to the generally accepted view that threat perceptions in the Hamidian era (1876-1909) arose from the personality of Sultan Abdulhamid II, this study argues that these can be better explained in terms of the security mentality of the Ottoman administrative body. It, therefore, attempts to explore the relationship between the anti-anarchist policies and security perceptions of the Ottoman elites. The anti-anarchist policies and policing techniques also created an administrative network both domestically and internationally. With the centralisation efforts of the 19th century, questions of security and public order gained increased importance. The security perceptions of the Hamidian era developed in response to various threats. In addition to nationalism, which was regarded as an internal threat, the European penetration constituted an international threat, while anarchism, with its method of propaganda by deed, was regarded as both an internal and international threat. This method of propaganda by deed was also used by different groups of nationalists. The state tried to implement technologies of surveillance. For instance, it collected information on the population. In the Hamidian era, these technologies were all linked to a legitimacy crisis. In other words, while the state attempted to put into practice new legitimacy policies, it also employed new strategies of violence to control its population. Demographic challenges should also be taken into account in order to better understand the nature of the crisis. Following the Ottoman-Russian War, the demography of the Ottoman Empire changed dramatically. In the period of 1877-1896, there was an influx of 1.015.015 Muslims from the Caucasus, Crimea, and the Balkans. By 1908, the number had reached around 5 million. After the enactment of the Berlin Treaty, the Ottoman Empire not only lost most of its territory in Europe, but also lost a predominantly Christian population of 4.500.000 citizens. These changes necessitated new efforts to collect information on the population, as well as new creating policies of legitimation. Pan-Islamist policies of the state can be analysed within this specific context. The demographical and geographical changes also instigated new policing techniques, which were founded on both traditional and modern techniques. The state was engaged in implementing new legitimacy policies, while simultaneously enforcing new strategies of violence in order to control its population. In other words, the administrative body employed seemingly contradictory strategies in the execution of social control. The debates on state formation have initiated new theoretical concepts in recent decades. “Bringing the state back in” is a relatively recent phenomenon in Ottoman historiography. The utilisation of this perspective has generated its theoretical and conceptual tools, which are part of the discussions on state sociology. Michael Mann’s analysis on social sources of power, as well as his conceptualisation of power according to “infrastructural and despotic/extensive and intensive/diffused and authoritarian power”12, coupled with Anthony Giddens’ theories of “surveillanceand administrative power”13 are paving the way for further analytical discourse on the Ottoman modernisation process. Furthermore, Foucault’s concept of “governmentality”14 is crucial to explore the relations of micro-power technologies in daily life, when analysing the disciplinary of modern politics. Security as a paradigm of the modern state apparatus also opens the debate on reason d’état, as argued by Mark Neocleous.15 Building upon these concepts and terms, the changing basis of state as an administrative apparatus can be interpreted through an examination of technologies of surveillance. As the state’s need for security intensified, it became increasingly eager to gather information on its population in order to make people, using Scott’s term, legible for itself. Not surprisingly, and similar to other contemporary states, it marks the advent of modern bureaucracy in the Ottoman state. For this reason, the administrative structure is analysed not only as a body of bureaucracy, but also as a network that penetrates day-to-day life, with high-level decisions as well as daily bureaucratic correspondences and practices. The security reforms that took place during this period were important components for the construction of the modern state apparatus. The political elites that carried out these reforms not only targeted members of secret organisations but also seasonal and foreign workers, who were considered to amount to a potential political threat. In fact, the inspiration for these legal and administrative security reforms were the anti-anarchist regulations that were developed in Europe in response to the actions and propaganda of the anarchists. The security practices—following the Koum Kapu demonstration in 1890, Bab-ı Ali demonstration in 1895, the Ottoman Bank Bombings in 1896 in Istanbul, Thessaloniki assassinations in 1903, various railway bombings, and assassinations of high level bureaucrats and police officers, together with the assassination attempt of Abdulhamid II in 1905—played a significant role, especially in the governance of Istanbul. The Ottomans were motivated to develop new strategies in order to contain the “threat”, particularly after attending International Conference of Rome for the Social Defence against Anarchism in 1898, and a further conference in Saint Petersburg in 1904. The representation of the Ottoman Empire at this conference occurred just as bombings and assassinations were being organised within the Empire. Such instances included the Koum Kapu demonstration in 1890,16 the Bab-ı Ali demonstration in 1895,17 and the Ottoman Bank Bombings in 1896 in Istanbul and in 1903 in Thessaloniki, as well as various railway bombings and assassinations of high-level bureaucrats and police officers.18During the 1890’s, the threat perception of the Ottoman political elites was heavily influenced by the Armenian Question and the Macedonian Question, which they also linked to foreign intervention. Various incidents, such as the assassination attempt on Abdülhamid II, were inspired by the Russian revolutionary organisation Narodnaya Volya, whose members identified themselves as terrorists. These acts mostly led to ethnic conflicts that resulted in massacres, which in turn led to disproportionate use of violence by the state. The Thessaloniki bombings of 1903 were organised by Gemidzhiite (the boatmen of Thessaloniki), a Macedonian anarchist group.25 As part of their plan to blow up the Ottoman Bank in Thessaloniki, the group rented a shop opposite the bank before digging a tunnel under the building. After the tunnel was finished, Pavel Shatev first blew up the French ship, the Guadalquivir, while it left the harbour on 4 April 1903. Another explosion was set off the same night on the railway line; however, due to a timing miscalculation, only the locomotive of the intended target, the Istanbul train, was damaged. Then, on the night of 29 April, the city’s water and electricity supplies were cut off due to a huge explosion. Meanwhile, the city’s governor was the target of a failed assassination attempt.26 The attacks continued with the bombing of the Cafe Alhambra and the Ottoman Bank, while the German Bowling Club, French Hospital, Hotel Colombo, German School, the Eden theatre, and numerous other cafes, clubs, and hotels in the European neighbourhood were also targeted.27 However, the attacks targeting the headquarters of military on 2 May 1903 and the post office on 3 May, 1903 were unsuccessful.28 Following the Thessaloniki bombings, the Ottoman administration arrested several people on suspicion of IMORO (The Internal Macedonian Revolutionary Organization) connection,29 while the bombings also heightened the fear from Bulgarians. Another significant incident was the assassination attempt on Abdulhamid II in July 1905. Explosives were placed in a Victoria carriage, with the timing set to coincide with the Sultan’s regular walk after attending Friday prayers. However, on this occasion, because the conversation between Sheikh-ul İslam, who governed religious affairs of the state as an authority, and the Sultan took longer than usual, the assassination attempt was delayed and therefore failed. There was a huge explosion, as the Sultan left the mosque, killing 26 people and injuring 58, while the Sultan remained unharmed. The ensuing police investigation, using new techniques such as searching hotel registrations, new questioning methods, chemical tests etc. quickly led to the arrest of a Belgian anarchist, Edward Jorris. However, Silvia Ricci, the head of the assassination, was never found.30 This is because Silvia Ricci, whose real citizenship was never detected but was presumed Italian or Romanian, used forged passports and changed his place of residence on several occasions. Representatives of the Ottoman Empire, who attended the Rome Conference, were furnished with information about various policing techniques employed by different states, including better record-keeping methods for storing intelligence on individuals, or creating an effective administrative network for investigations. The modernisation of policing techniques in the Ottoman Empire depended on a registration system based on the bureaucratisation of personal identity that was different from traditional social control mechanisms. The representatives of the police departments of the participating states agreed to adopt the same control and surveillance methods as France, Germany and Russia. This required the preparation of key information for each deported anarchist in a standard format, including a photograph, a certificate of identity, information about appearance based on portrait parlé, information about the individual’s arrival, departure and objective of travel. This was then to be distributed among the police forces in other states. The central police departments of all states would share such documented information about anarchists internationally. The portrait parlé was accepted as an international criminal identification method. To expand the usage of portrait parlé, every state was required to send a police officer for portrait parlé training in France.38 After the conference, a French expert on portrait parlé came to the Ottoman Empire to teach the new biometric criminal identification techniques,39 although the Ottoman state had already been interested in the technique, imported the tools, and made arrangements to invite a French expert.40 In addition to this, Ottoman Empire was already using photographs to identify anarchists. The Ottoman Empire drafted an anti-anarchist bill that was passed in the House of Representatives (Meclis-i Vükela), but rejected by the Vizierate, primarily because, in contrast to the widespread “trouble of anarchism” in the USA and Europe, only Armenians and a few Bulgarians were implicated in anarchism in the Ottoman Empire. The Vizierate, therefore, decided that the penal code was adequate and was capable of dealing with such crimes. This meant that the Ottoman Empire would define such crimes as “crimes against state”, which was already enshrined in the penal code, without defining anarchist acts.B.O.A.- Y.A.RES., 116/23, 6 S 1320 (15.05.1902). Consequently, the Ottoman Empire, while using international cooperation to fight against anarchism, wished to avoid politicising anarchism by interpreting it as a political crime. Although the Ottoman Empire did not use the internationally accepted definition of anarchist act in its laws, the conference was important for the standardisation of policing techniques. The Ottoman Empire’s delegates to the Rome Conference also gathered information about the police departments and policing methods of various states, while the Ottoman Empire itself found international support to legitimise its policing methods against anarchist actions, mainly defined as crimes against the state.41 In addition to these, collaboration on the basis of information-sharing about anarchists began between Ottoman Empire and Belgium. It is important to note that the Ottoman police force was formed on the basis of the French model. In 1884, Inspector Bonin and Inspector Lefoulon, a specialist in anti-anarchism, from the Paris police were invited to Istanbul to share their expertise. These two important French inspectors were hired to reorganise the Ottoman police according to the institutionalisation of the police in France. Lefoulon was also responsible for dealing with anarchists from foreign countries. For example, in 1896, he was appointed to track down Armenian anarchists in Marseille and Geneve.42 As a result of the inspectors’ influence, the Ottoman anti-anarchist policing techniques became very similar to the French model. The Ottoman Empire was already using a system of surveillance based on both traditional and modern techniques. The surety system was traditionally the principal method of state surveillance,43 and was predominantly adopted to deal with the question of security in cities. The migrants or seasonal workers without guarantors were generally perceived by the authorities to be highly suspect, and potentially criminal, as indicated in the labels44 used, such as ahvali mechul, mazanne or mütehhem(suspect), or ehl-i fesad (mischief). Seasonal workers staying in the bachelor rooms or inns were regularly checked by the authorities, and the migrants without guarantors were expelled from the city.45 Controlling geographical mobilisation is considered one of the most important issues in security policies. The Ottoman Empire was employing the surety system in combination with modern surveillance techniques. Identity cards, international and internal passports, and hotel registration system must be considered within this context. For instance, a formal letter called ilmuhaber was used as proof of an individual’s good behaviour in social life, which in some instances was written by the elders of the village or neighbourhood until the middle of the 19th century. According to the internal passport regulation, Ilmuhaber and tezkere-i Osmani, the equivalent of the Ottoman identity card, had to be declared to the authorities in order to obtain an internal passport. Using the ilmuhaber was a practical solution, as it involved traditional social control mechanisms in order to guarantee the accuracy of the reported information, even more necessary as most Ottoman subjects generally did not possess a tezkere-i Osmani. In the late 19th century, however, the ilmuhaberalso contained information on the individual’s identity, similar to the modern identity cards. The introduction of new techniques of surveillance—such as an established police institution, passports, using chemical tests for investigations, the modern techniques to identify individuals and their identity—can also be analysed in the context of a global synchronisation of modern states. Another important point about policing concerns the regulations combatting vagrancy. Vagrancy, or other public order offences, did not constitute a crime of and in itself. Instead, what made it an offence was the involvement of a certain kind of person, rather than the person having done or failing to do certain acts.46 The definition itself widened the scope of intervention in daily life by the police forces. According to the Vagrancy Act, vagrants were described as persons who were out of legitimate work, had no affiliation or registered residence, or were travelling without certain departure and arrival dates.47 According to the Internal Passport Regulation of September 1887, anyone travelling in the Ottoman Empire had to carry an internal passport, which included their date of departure and arrival.48 For the police, travelling without an internal passport was a criminal act, so being identified as a vagrant or suspicious person was a natural consequence for anyone travelling without such a document. Laws against public order crimes and the Vagrancy Act can also be seen as instruments to control the population. However, in the Hamidian era, this kind of control was not only related to public order matters, but also to threat perceptions concerning security. Given the local upheavals and guerrilla warfare in the provinces, as well as railway bombings, and assassination attempts at city centres, the state elites’ use of the term of vagrancy became articulated with other pejorative labels like anarchist. In their internal correspondence, the Ottoman state elites also used the discursive link made in Prussia and other European countries between anarchist, vagrant and seasonal workers. This discursive link raises the issue of the documentation and classification processes of the modern state, and the flexibility of the concepts used in these processes. These discursive strategies also restricted legitimate public spheres and marginalised certain identities, making it easier to marginalise the poor, especially the politically mobilised poor, on a discursive level. To prevent the entry of undesirables from Europe and America, the authorities instituted stricter checks on the travel documents of any individual coming to Istanbul from Bulgaria or Egypt. Meanwhile, anyone intending to travel to Egypt was investigated before travel documents could be issued.71 This was because Egypt was an important hub for international sea-travel, and Alexandria and Cairo was also home to different political circles.72 In particular, there was an important international anarchist movement, mostly involving Italian workers and political refugees.73Alexandria was an important centre for a global anarchist network.74 Ottoman Empire itself was an attractive place for anarchists. Some of them sought exile in the Ottoman Empire, while others came as migrant workers or just to travel around the Empire. “Societa` Operaia Italiana” (Italian Workers Society) was founded in Alexandria in 186280 and “La Società Operaia Italiana di Mutuo Soccorso” (the Italian Mutual Aid Society of Workers) was founded in Istanbul in 1863.81 There were some anarchist periodicals published in Alexandria, and the periodicals were read in different cities of the world from Europe to Latin America. In 1881, an Anarchist conference was organized in the city.82 Consequently, any Italian requesting travel documents to travel to Egypt was viewed as a potential member of an anarchist group. However, the Ottoman state was not able to practice intensive surveillance and control because of Egypt’s distance from Istanbul, and the limited capacity of the state. When the assassination of the French president by an Italian anarchist on 25 June 1894 in Lyon, the French authorities viewed all Italians suspiciously and as potential anarchists and criminals. As a result many Italians were deported, although some escaped from France, while the Ottoman state elites urgently banned other Italians from entering.83 The entry of Italians deported from foreign countries was also prohibited,84 and Italian ferry companies were warned not to allow anarchists to travel to Ottoman ports.85 Other measures included an order to deport Italian anarchists after taking their photographs,86 the arrest and deportation to Italy of three Italian anarchists,87 and the refusal to issue visas to Italian workers in order to avoid difficulties with their deportation.88 Other policies that could be considered anti-anarchist include the investigation of 30 visa-less Italian workers, who arrived in Istanbul on the ferry Taormina,89 and the Italian workers and miners who were unable to obtain visas.90 The stricter procedures for Italians were also evident in the case of the Italian Rayak-Hama railway workers.91 These Italians had asked to travel from Romania to Beirut to work on railway construction. However, before they could be issued visas, an investigation took place with the cooperation of the Italian consulate.92 In 1902, after King Leopold II of Belgium was targeted by an assassination attempt by the Italian anarchist Gennaro Rubino, controls over Italians became even stricter. An important and interesting point about the state’s treatment of Italian anarchists in the Ottoman Empire is that many of them were not deported, despite the stricter procedures, the passport regime, and the state’s incriminating information on them.93 The main reason for this was that the core threat perception concerned the security of the regime itself. Therefore, if the state did not categorise these foreign elements as a threat to itself, it did not act against them, although surveillance and record keeping were carried out. Another factor was that the state lacked the infrastructural power necessary to exert control throughout the extensive territory of the Ottoman Empire. The preceding study on the Ottoman Empire suggests that the state, as an administrative body, was engaged in the use of modern techniques against political threats or public order offences. In other words, the state elites described both political threats and acts against public order, resulting primarily in the marginalisation of specific groups. While administrative regulations and the bureaucracy are among the most important bases of the infrastructural power of the modern state, policing practices in the Ottoman Empire show us that the daily practices of state security can also make these regulations the basis for institutionalised discriminatory action. The term securitisation opens up a broad discussion on the policing reforms, and on how state elites defined the elements of threat.97 Obviously, the conspiracy deeds were also useful in legitimising new policing techniques, and it directly affected the administrative process, which is quite obvious in the case of Italians, Armenians, and Bulgarians. Some Italians were involved in anarchist networks, and their publications were distributed worldwide, while others also had relations with locals. However their existence in Egypt did not constitute a major security problem for the Ottoman state elites, and even if it had, the state had limited capacity to control them. Italians who were working or living or travelling in/to İstanbul, the Balkans or Anatolia, on the other hand, were viewed as elements that should be controlled, even if they were not involved in anarchism. This was the case particularly in the wake of some incidents of propaganda by deed. The main sources for this article are the Prime Ministry Ottoman Archives (B.O.A.) and transliterated documents from archive publications. Ferdan Ergut, Modern Devlet ve Polis Osmanlı’dan Cunhuriyet’e Toplumsal Denetimin Diyalektiği, İstanbulİletişim Yay., 2004. Noémi Lévy, Alexandre Toumarkine (eds), Osmanlı’da Suç ve Ceza, 18.-20. Yüzyıllar, İstanbul: Tarih Vakfı Yurt Yay. ve Noémi Lévy, Nadir Özbek, Alexandre Toumarkine (eds), Jandarma ve Polis Fransız ve Osmanlı Tarihçiliğine Çapraz Bakışlar, İstanbul: Tarih Vakfı Yurt Yay., 2009. Noémi Lévy, “19.Yüzyılda Osmanlı’da Kamu Düzeni Konusunda Çalışmak: Bibliyografya Üzerine Bir Değerlendirme”, in Osmanlı’da Suç ve Ceza, 18.-20. Yüzyıllar, pp. 55-67; Noémi Lévy, “Yakından Korunan Düzen: 2. Abdülhamid Devrinden 2. Meşruiyet Dönemine Bekçi Örneği”, in Osmanlı’da Suç ve Ceza, 18.-20. Yüzyıllar, s.135-145, Noémi Lévy, “Polislikle İlgili Bilgilerin Dolaşım Tarzları: Osmanlı Polisi İçin Fransız Modeli Mi?”, in Jandarma ve Polis Fransız ve Osmanlı Tarihçiliğine Çapraz Bakışlar, pp. 146-170. Nadir Özbek, “Policing the Countryside: Gendarmes of the Late-Nineteenth-Century Ottoman Empire (1876-1908).”, International Journal of Middle East Studies, 40/ 1, 2008. Nadir Özbek, “The Politics of Taxation and “the Armenian Question” during the Late Ottoman Empire (1876-1908)”, Comparative Studies in Society and History, 54/ 4, 2012. Janet Klein, Power in the Periphery: The Hamidiye Light Cavalry and the Struggle Over Ottoman Kurdistan, 1890-1914, phd dissertation, Princeton University, 2002. Stanford Shaw, History of the Ottoman Empire and Modern Turkey : Empire of the Gazis: the Rise and Decline of the Ottoman Empire, 1280 – 1808, Cambridge : Cambridge University, 1988. Rıfa’at Abou El Haj argues the beginning of the modernisation process of Ottoman Empire from 16th century. Rıfa’at Abou El Haj, Formation of the Modern State: The Ottoman Empire Sixteenth to Eighteenth Centuries, New York: SUNY Press, 1992. Linda Darling, “Circle of Justice”, The Encyclopaedia of Islam, 3, Leiden: Brill, 2012, pp.104-9. Linda Darling, “Islamic Empires, the Ottoman Empire, and the Circle of Justice,” in Said Amir Arjomand (ed) Constitutional Politics in the Middle East: With Special Refrence to Turkey, Iraq, Iran and Afghanistan, London: Hart Publishing, 2008, pp.11-32. Michael Mann, The Sources of Social Power: A History of Power from the Beginning to A.D. 1760, vol.1, New York: Cambridge University Press, 2003. Michael Mann, The Sources of Social Power: A Rise of Classes and Nation-States, 1760-1914, vol.2, New York: Cambridge University Press, 1996. “The structural dissimilarity between areas of administrative action and areas of cultural tradition constitutes, then a systemic conscious manipulation.” Jürgen Habermas, Legitimation Crisis, translated by Thomas McCarthy, Polity Press, 1997, p. 71. Michael Mann, The Sources of Social Power: Volume 2, The Rise of Classes and Nation States 1760-1914, New York: Cambridge University Press, 1993. Michael Mann, States, War, and Capitalism: Studies in Political Sociology, New York: B. Blackwell, 1988. Anthony Giddens, The Nation State and Violence, Oxford: Polity Press, 1987. Michel Foucault, “Governmentality”, in Graham Burchell, Colin Gordon and Peter Miller (eds), The Foucault Effect: Studies in Governmentality, trans. Rosi Braidotti and revised by Colin Gordon, Chicago: University of Chicago Press, Chicago, 1991. Mark Neocleos, Imagining the State, Maidenhead: Open University Press, 2003. Koum Kapu demonstration was a significant case in point. The Police Ministry received intelligence about a demonstration that would take place in a church close to the Armenian Patriarchate in Koum Kapu on 27 July 1890. Later, on 29 July, a manifesto was proclaimed in the Armenian Patriarchate Church by the Hunchakian Party, a socialist organisation of Armenian Revolutionaries, denouncing the Patriarch, the Armenian National Assembly, the Ottoman government and the Sultan for the poor living conditions of Armenians. A priest, who tried to prevent the reading of the manifesto, was shot, the Patriarch was attacked, with the demonstrators plucking his beard and forcing him to join the protest march heading to the Yıldız Palace, in order to demand the implementation of the Article 61 of the Berlin Treaty. When the crowd was intercepted by the police, an armed conflict broke out that caused several deaths including one policeman. The demonstration then turned into a mass movement with the attendance of Armenian seasonal workers, mostly porters. B.O.A.- Y.A.HUS., 237/45 in Osmanlı Belgelerinde Ermeni İsyanları (1878-1895), vol.1, Ankara: T.C. Başbakanlık Devlet Arşivleri Genel Müdürlüğü Osmanlı Arşivi Daire Başkanlığı, 2008, p. 48. Louise Nalbandian, The Armenian Revolutionary Movement: The Development of Armenian Political Parties Through The Nineteenth Century, Berkeley: University of California Press, 1963, p. 118. B.O.A.- Y.PRK.TKM., 18/33, in Osmanlı Belgelerinde Ermeni İsyanları (1878-1895), vol. 1, pp.49-50. Bab-ı Ali Demonstration was organized in 1895 by the Social Democrat Hunchakian Party, which was founded by Armenian students in Geneva in 1887. On 28 September 1895 Hunchakists sent telegrams in advance to consulates announcing that a peaceful petition campaign was going to be launched in Istanbul. In addition, a letter was sent to the Chairmanship of the Ottoman Court of Criminal Appeal, signed by “provincial Armenians”, stating that the demonstration would be peaceful, and denouncing any acts of violence as the work of the police and military. This led to the start of an investigation into the identities of those planning to participate, while the Ministries of Interior Affairs, Foreign Affairs, and Justice were ordered to take extraordinary measures to prevent the protest. Because the state elites interpreted this protest as an attempt to attract the attention of the European Powers, a decision was taken not to shoot the demonstrators, in an effort to prevent any possible European intervention. Instead, in order to maintain “security”, the police and cavalry broke up the crowd, administrative buildings were surrounded by soldiers, cavalry were positioned on the road to Bab-ı Ali, and the numbers of police patrols were increased. Nevertheless, once the march began, serious fighting and disorder ensued. Some of the protestors did not obey the decision to hold a peaceful demonstration, revealing divisions within the Hunchakists. When the crowd reached Bab-ı Ali, they found that its entrance was blocked, and during the ensuing fierce clash a gendarmerie Major, Servet Bey, was killed. The violence then spread to other parts of the city, such as Karakoy, and even to areas on the Anatolian side – such as Uskudar. Although the police were ordered to prevent Muslim attacks on Armenians in order to avoid the possibility of ethnic conflict, armed lower-class Muslims attacked and beat Armenians with sticks in various parts of the city, and the state failed down to protect Armenians or not really intended to it, as the Bab-ı Ali demonstration turned into a pogrom against Armenians. Nalbandian, ibid, p.124. Hüseyin Nazım Paşa, ibid, pp. 68-78. François Georgeon, Sultan II. Abdülhamid, translated by Ali Berktay, İstanbul: Homer Kitabevi, 2006, p.337. Hüseyin Nazım Paşa, Hatıralarım-Ermeni Olaylarının İçyüzü, İstanbul: Selis Kitaplar, 2007, p. 21. New York Times, 03.10.1895. Vahakn N. Dadrian, The History of the Armenian Genocide: Ethnic Conflict from Balkans to Anatolia to the Caucasus, Berghahn Books, 1997, p. 120. A detailed document about these assassinations can be found in the report of the police minister of the day, Hüseyin Nazım Pasha. This report contains the internal correspondence between the Police Ministry and other state offices. Hüseyin Nazım Paşa, Ermeni Olayları Tarihi, vol 1, transliterated by Necati Aktaş, Mustafa Oğuz, Mustafa Küçük, Ankara: T.C. Başbakanlık Devlet Arşivleri Genel Müdürlüğü Osmanlı Arşivi Daire Başkanlığı, 1994, pp. 13-46. B.O.A.- Y.PRK.HR., 22/22 in Osmanlı Belgelerinde Ermeni İsyanları (1895-1896), vol 2, pp.162-164. B.O.A.- Y.PRK.ŞH., 7/64 in, ibid, pp.185-192. William Langer, The Diplomacy of Imperialism 1890-1902, The Bureau of International Research, New York: Harvard University and Radcliff College, p. 324. The painter of Abdülhamid II, Fausto Zonaro wrote in his memoire that poor Armenians were killed in a massacre that continued days and the doors of Christians were painted with red. Fausto Zonara, Abdülhamid’in Hükümdarlığında 20 Yıl : Fausto Zonaro’nun hatıraları ve eserleri, prepared by Cesare Mario Trevigne; translated by Turan Alptekin, Lotto Romano, Istanbul: Yapı Kredi Yayınları, 2008, p. 158. “Taraf-ı Ali Seraskeri’den Ba Tezkere İrsal Olunan Talimat Sureti” 16 Ağustos 1312 (28 Ağustos 1896) in Hüseyin Nazım Paşa, Ermeni Olayları Tarihi, vol. 2, p. 342. “Dahiliye Nezareti’ne Tezkire”, 20 Ağustos 1312 (1 Eylül 1896) in Hüseyin Nazım Paşa, ibid., p.354. Edhem Eldem, “26 Ağustos 1896 “Banka Vak’ası” ve “Ermeni Olayları”, Tarih ve Toplum Yeni Yaklaşımlar, no: 5, Spring 2007, İstanbul: İletişim Yayınları, pp. 135-136. Hüseyin Nazım Paşa, ibid. Donald Quataert, Social Disintegraion and Popular Resistance in the Ottoman Empire, 1881-1908, Reactions to European Economic Penetration, New York and London: New York University Press, 1983, pp. 96-103. Donald Quataert, “Osmanlı İmparatorluğu’nda İşgücü Politikası ve Siyaset: Hamallar ve Babıali, 1826-1896”, Tarih ve Toplum, no: 33, vol. 6, İstanbul: İletişim Yayınları, 1986, p. 46. B.O.A.- TFR.I..MN.., 8/775, 01 S 1321 (29.04.1903), B.O.A.- Y..PRK..UM.., 64/3, 01 S 1321 (29.04.1903), B.O.A.- Y..PRK..UM.., 64/2, 01 S 1321 (29.04.1903), B.O.A.- Y..PRK..UM.., 64/11, 04 S 1321 (02.05.1903), B.O.A.- Y..PRK.ASK., 195/91, 20 S 1321 (18.05.1903) ve Mark Mazower, Selanik Hayaletler Şehri Hristiyanlar, Müslümanlar ve Yahudiler (1430-1950), translator: Gül Çağlalı Güven, İstanbul: YKY, 2007, pp. 273-277. Orhan Türker, “Selanik’te 28-29 Nisan 1903 Olayları”, Tarih ve Toplum, no. 182, 1999, pp. 27-30. Misha Glenny, Balkans 1804-1999 Nationalism, War and the Great Powers, London: Genta Books, 1999, s.202. Fikret Adanır, Makedonya Sorunu : Oluşumu ve 1908’e Kadar Gelişimi, translator: İhsan Catay, İstanbul: Tarih Vakfı Yurt Yayınları, 1996, pp.184-185. B.O.A.- Y..A..HUS., 447/142, 12 S 1321 (10.05.1903). The investigation report was translated from Ottoman Turkish to Modern Turkish. Sultan İkinci Abdülhamid Han’a Yapılan Suikastin Tahkikat Raporu, transliterated by Raşit Gündoğdu, İstanbul: Çamlıca Basım Yayın, 2007. Mathieu Deflem, Policing World Society: Historical Foundations of International Police Cooperation, New York: Oxford University Press, 2002, pp. 12-34. Mathieu Deflem, “Wild Beasts Without Nationality, The Uncertain Origins of Interpol, 1889-1910”, in Philip Reichel (ed), Handbook of Transnational Crime and Justice, Thousand Oaks CA: Sage Publications, 2005, p. 276. Richard Bach Jensen, “The International Campaign Against Anarchist Terrorism, 1880–1930s”, Terrorism and Political Violence, no: 21, vol. 1, 2009, p. 92. Richard Bach Jensen, “Daggers, Rifles, and Dynamite: Anarchist Terrorism in Nineteenth Century Europe”, Terrorism and Political Violence, no. 16, vol. 1, pp. 116-153. Richard Bach Jensen, “The International Anti-Anarchist Conference of 1898 and the Origins of Interpol”, Journal of Contemporary History, vol. 16, no. 2, April 1981, pp. 323-347. Jensen, “The International Anti-Anarchist Conference” and Adil Baktıaya, “19. Yüzyıl Sonunda Anarşist Terör, “Toplumun Anarşistlerden Korunması Konferansı (1898)” ve Osmanlı Devleti”, Bilgi ve Bellek, no. 8, vol. 4, 2007, p. 65-66. B.O.A.- Y.A.RES., 101/31, 12 S 1317 (22.06.1899) and “Hariciye Nezareti’ne 3 Kanunusani 1899 tarihinde Roma Sefaret-i Seniyesi’nden varid olan 2 numerolu mahremane tahriratın tecümesi suretidir” in B.O.A.- Y.PRK.EŞA., 31/136, 20 Ş 1316 (03.01.1899). Richard Bach Jensen, “The International Anti-Anarchist Conference of 1898 and the Origins of Interpol”, Journal of Contemporary History, Vol. 16, No. 2 (Apr., 1981), p. 327. Deflem, “Wild Beasts”, p. 279. B.O.A.- Y.PRK.EŞA, 31/136, 20 Ş 1316 (03.01.1899). B.O.A.- İ.HUS. 8 , 27 R.1318 (23 August 1900), B.O.A.- ZB 45/27, 24 August 1898. Baktıaya, ibid, p. 71. B.O.A.- ZB. 45/27, 24 August 1898. Noémi Levy, “Polislikle İlgili Bilgilerin Dolaşım Tarzları: Osmanlı Polisi için Fransız Modeli mi?”, in Noémi Levy, Nadir Özbek, Alexandre Toumarkine (eds), Jandarma ve Polis Osmanlı Tarihçiliğine Çapraz Bakışlar, translation Deniz Öztürk, Burak Onaran, İstanbul: Tarih Vakfı Yurt Yayınları, 2009, pp.154-156. If someone leaves his or her residence with an “acceptable reason”, the person has to find a guarantor to ensure that he or she will continue the duties and continue to pay the taxes. If the authorities want to find someone in terms of an investigation, the guarantor is the first person to question. Mostly, the surety system is based on perpetual guarantee in small units like villages or neighbourhoods (mahalle). The social control system of Ottoman Empire is linked with preventing the disruption of public peace by using guarantor system. Generally, all the men in a village is a guarantor to each other, the chamberlain (kethüda) is the guarantor of all of them and the religious leader like imam or priest or rabbi is the guarantor of the chamberlain in front of the local judge (kadi). After the reforms of 1829 the muhtar, the chief of the village, susbtitutes the religious authority guarantor in front of kadi. In the case of the seasonal workers, the caretakers and custodians of the inns or bachelor rooms must be the guarantors. In addition to that to employ a worker without a guarantor is strictly forbidden. Mustafa Akdağ, Türk Halkının Dirlik ve Düzenlik Kavgası Celali İsyanları, Bilgi Yayınevi, Ankara, 1975 ve Adalet Alada, Osmanlı Şehrinde Mahalle, İstanbul:Sümer Kitabevi, 2008, s. 151-152. I am using the term “label” referring to labelling theory, which defines deviance not as an act, but is instead constructed by majorities in order to negatively label minorities or marginalised people because of their differences from standard cultural norms. Labelling creates a negative image or a stigma that is re-constructed a group’s or person’s social identity. Jerome Skolnick, “Perspectives on Law and Order” in Sawyer F. Sylvester & Edward Sagarin (eds), Politics and Crime, Preager Special Studies, 1972. Gennaro F. Vito, Jeffery R. Maahs and Ronald M. Holmes, Criminology: Theory, Research And Policy, Sudbury: Jones & Bartlett, 2006. Betul Basaran, Remaking the Gates of Felicity: Policing, Social Control, and Migration in Istanbul at the End of the Eighteenth Century, 1789-1793, unpublished PhD, The University of Chicago, 2006. Ferdan Ergut, “Policing the Poor in the Late Ottoman Empire”, p.150, Richard Quinney, The Social Reality of Crime, Boston MA, 1970, p. 94. Richard J. Evans, “Introduction: The ‘Dangerous Classes’ in Germany from the Middle Ages to Twentieth Century”, The German Underworld Deviants and Outcasts in German History, London: Routledge, p. 14. Serseri ve Mazanna-i Su’ olan Eşhas Hakkında Nizamname, 3 Sefer 1308, 6 September 1306, 18 September 1890, Düstur, 1. Tertip, vol. 6, p. 748. Düstur 1. Tertip, vol. 5, no. 223, pp. 861-866. Michael C. Williams, “Words, Images, Enemies, Securitization and International Politics”, International Studies Quarterly, 47, 2003, p.512. Barry Buzan, Ole Wæver and Jaap de Wilde, Security: A New Framework for Analysis, Boulder: Lynne Rienner Publishers, 1998. Karl Harter, “Security and Cross-Border Political Crime: The Formation of Transnational Security Regimes in 18th and 19th Century Europe”, Historical Social Research, Special Issue: Security and Conspiracy in History, 16th to 21st Century, 38/1, 2013, pp. 96-106. Zabtiye Nezâreti’nden Makâm-ı Sadâret-Penâhîye 16 Haziran Sene 1311 Târihiyle Yazılan Tezkirenin Sûretidir, Hüseyin Nazım Paşa, ibid, vol. 1, pp. 64-67. “17 Haziran Sene 1311 Târih ve İki Yüz Yirmi Üç Numara ile Beyoğlu Mutasarrıflığı’na Yazılan Müzekkirenin Sûretidir” in Hüseyin Nazım Paşa, ibid, vol. 1, p. 74. B.O.A.-İ.HUS. 85, 19 R 1313 quoted in Vahdettin Engin, Sultan Abdülhamid ve İstanbul’u, İstanbul: Simurg, 2001, p. 60. “Dâhiliye Nezâret-i Celîlesi’ne Vârid Olan 30 Haziran Sene 1312 Târih ve İki Yüz Seksen Numara ile Yazılan Tezkire Sûretidir” in Hüseyin Nazım Paşa, ibid, vol. 2, p. 282-284 and “Dâhiliye Nezâret-i Celîlesi’ne Yazılan 23 Mayıs Sene 1312 Târihli Tezkire Sûretidir” in Hüseyin Nazım Paşa, ibid, vol. 2, pp. 244-245. B.O.A.- B.E.O., 2249/168648, 19 L 1321 (07.01.1904). An analysis of the policies on vagrancy in a social state frame can be found in Nadir Özbek, Osmanlı İmparatorluğunda Sosyal Devlet, İstanbul: İletişim Yayınları, 2002. Lists of the Armenian who were sent to their hometowns by police, B.O.A.- Y..PRK.ZB.., 18/34, 25 Ra 1314 (03.09.1896). B.O.A.- Z.B., 30/26, 21 My 1316 (03.06.1900). B.O.A.- İ..ZB.., 1/1314-B-1, 01 B 1314 (06.12.1896). B.O.A.- Y..A..HUS., 448/64, 20 S 1321 (18.05.1903). B.O.A.- Y..A..HUS., 448/77, 21 S 1321 (19.05.1903). B.O.A.- Y..A..HUS., 448/99, 23 S 1321 (21.05.1905) and B.O.A.- Y..A..HUS. 448/135, 27 S 1321 (25.05.1903). B.O.A.- Y..A..HUS., 448/111, 24 S 1321 (22.05.1903). B.O.A.- A. }MKT.MHM., 731/4, 3 S 1321 (01.05.1903). B.O.A.- Y..A..HUS., 328/117, 28 Za 1312 (23.05.1895). B.O.A.- A. }MKT.MHM., 541/ 20, 18 R 1315 (15.09.1897). B.O.A.- DH.MKT., 2131/14, 24 C 1316 (09.11.1898) and B.O.A.- DH.TMIK.M.., 71/46, 3 S 1317 (11.06.1899). B.O.A.- DH.MKT., 2068/45, 27 M 1312 (30.07.1894). B.O.A.- DH.MKT., 267/30, 29 M 1312 (01.08.1894) ve B.O.A.- DH.MKT., 2068/45, 27 M 1312 (30.07.1894). B.O.A.- Y..PRK.ZB.., 29/26, 03 Ca 1319 (18.08.1901). B.O.A.- DH.MKT., 2085/6, 30 Ca 1315 (26.10.1897). Ilham Khuri Makdisi, Levantine Trajectories; The Formulation and Dissemination of Radical Ideas in and Between Beirut, Cairo, and Alexandria, 1860-1914, Phd, Massachusetts: Harvard University, 2003. Anthony Gorman, “Foreign Workers in Egypt 1882-1914 Subaltern or Labour Elite”, in Staphanie Cronin (ed), Subalterns and Social Protest History from Below in the Middle East and North Africa, New York: Routledge, 2007, p. 241-242. Staphen Castles, Mark J. Miller, Göçler Çağı Modern Dünyada Uluslararası Göç Hareketleri, translated by İbrahim Akbulut-Bülent Bal, İstanbul: Bilgi Universitesi Yay. 2008, p.80. Joel Beinin and Zachary Lockman, Workers on the Nile, Princeton New Jersey: Princeton University Press, 1987, p. 36. Murat Özyüksel, Hicaz Demiryolu, İstanbul: Tarih Vakfı Yurt Yayınları, 2000, p.168. Donald Quateart, Social Disintegration and Popular Resistance in the Ottoman Empire, 1881-1908 Reactions to European Economic Penetration, New York: New York University Press, 1983, pp. 57, 58, 75. Donald Quateart, Miners and the State in the Ottoman Empire The Zonguldak Coalfield 1822-1920, Berghahn Books, 2006, p. 56. Gorman, Anthony, “«Diverse in Race, Religion and Nationality…But United in Aspirations of Civil Progress»: The Anarchist Movement in Egypt, 1860–1940” in Steven Hirsch and Lucien van der Walt (eds), Anarchism and Syndicalism in the Colonial and Postcolonial World, 1870-1940: The Praxis of National Liberation, Internationalism, and Social Revolution, Leiden: Brill Publishers, 2010, pp. 3–31. B.O.A.- İ..HUS., 25/1311 Z-102, 22 Z 1311 (26.06.1894). B.O.A.- MV., 96/59, 23 B 1316 (08.12.1898). B.O.A.- Y..A…HUS., 524/25, 04 B 1326 (02.08.1908). B.O.A.- Y..PRK.ZB.., 32/43, 26 M 1320 (05.05.1902). B.O.A.- Y..PRK.ŞH.., 12/2, 16 M 1320 (25.04.1902). B.O.A.- Y..PRK.ZB.., 25/107, 16 R 1318 (12.08.1900). B.O.A.- DH.MKT., 1770/25 29 S 1308 (14.10.1890) ve B.O.A.- HR.TO.., 345/48, 18.09.1890. B.O.A.- DH.MKT., 2512/109, 12 R 1319 (29.07.1901). B.O.A.- BEO, 1696/127178, 13 R 1319 (30.07.1901). B.O.A.- DH.TMIK.M.., 119/13, 15 Za 1319 (24.02.1902). B.O.A.- HR.TO.., 345/ 48, 18.09.1898. B.O.A.- Y..PRK.HR.. , 30/54, 11 M 1319 (30.04.1901). B.O.A.- İ.HUS., 115/89, 24 M 1322 (10.04.1904). Cornel Zwierlein & Beatrice de Graaf , “Introduction”, Historical Social Research, Special Issue: Security and Conspiracy in History, 16th to 21st Century, 38/1, 2013, pp.7-45. Beatrice de Graaf & Cornel Zwierlein, “Historicizing Security – Entering the Conspiracy Dispositive”, Historical Social Research, Special Issue: Security and Conspiracy in History, 16th to 21st Century, 38/1, 2013, pp. 46-65. Zapruder World is licensed under a Creative Commons Attribution-NonCommercial 4.0 International License. 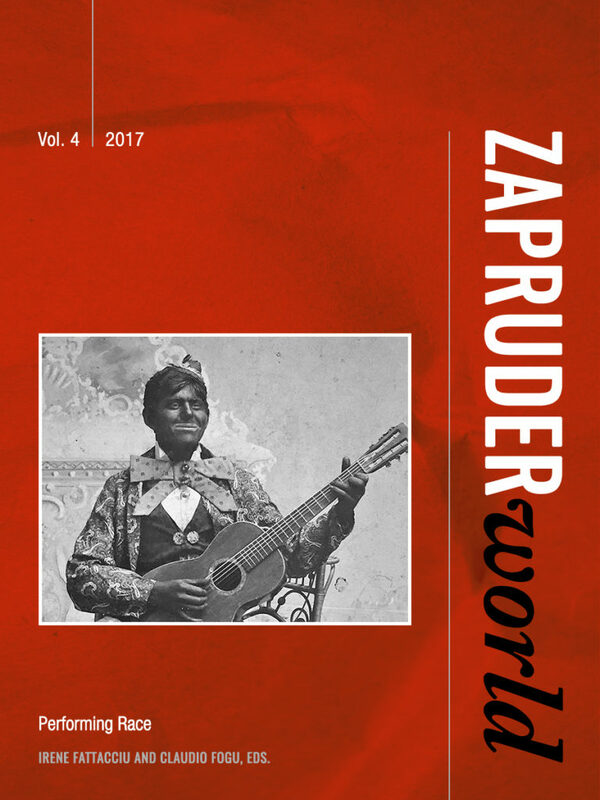 We imagine Zapruder World to be an Open Access digital journal and a network of historians and social activists spread through different places, countries and continents, which will explore the many forms of social conflict and reconsider the notion of social conflict itself.